The Hunter class meta is dominated by three exotics. Can the Gemini Jester boots break in? The Gemini Jester exotic Hunter leg armor arrived with the Curse of Osiris DLC. I paid little attention when they dropped for me, but fellow Shacknews writer and Destiny 2 sucker Sam Chandler commented that they were amazing. I’m still not sure that I’m as high on them as he was initially, but it did make me take more time to consider these exotic Hunter boots and their place in Destiny 2. I always like to start off by discussing the intrinsic perk with an exotic. 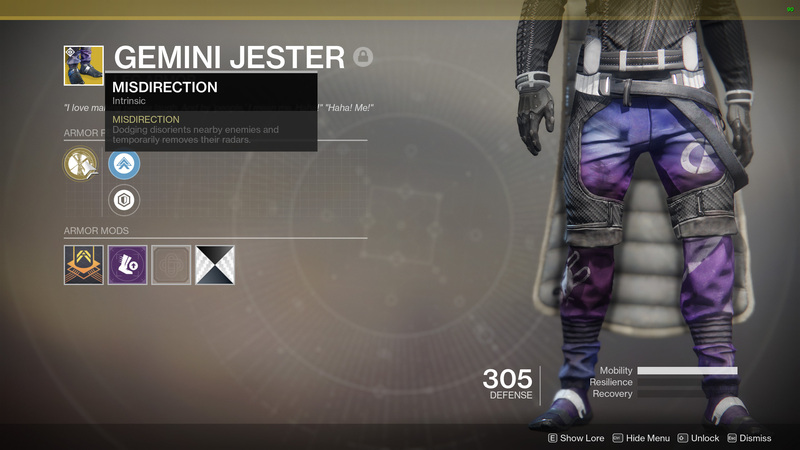 In the case of the Gemini Jester exotic boots, that’s Misdirection. This means that dodging disorients nearby enemies and temporarily removes their radars. That can be broken down into two parts; disorienting enemies and removing their radars. Disorienting enemies when you dodge near them is useful in both PvE and PvP, although much less so in PvE. However, removing the radar from an enemy is only valuable in the Crucible, and even then, I’d argue that it’s a weak perk at best. Anyone you get close enough to that is disoriented from a dodge is probably going to die, or they can see you, so what good is their radar at that point? How often do you stop in the middle of a PvP slap-fest and check your radar? Let’s reset and talk PvE for a second. Removing AI radar seems about as pointless as it gets, so the value in Gemini Jester comes from disorienting enemies. Again, that’s could be useful from time to time, but how could it be better than the three meta Hunter exotics, Celestial Nighthawk, Orpheus Rig and Raiden Flux? It can’t, so don’t wear the Gemini Jester exotic Hunter boots in PvE situations. However, the best Hunter exotics that we listed above aren’t nearly as good in the Crucible, and this is where the door opens for Gemini Jester. 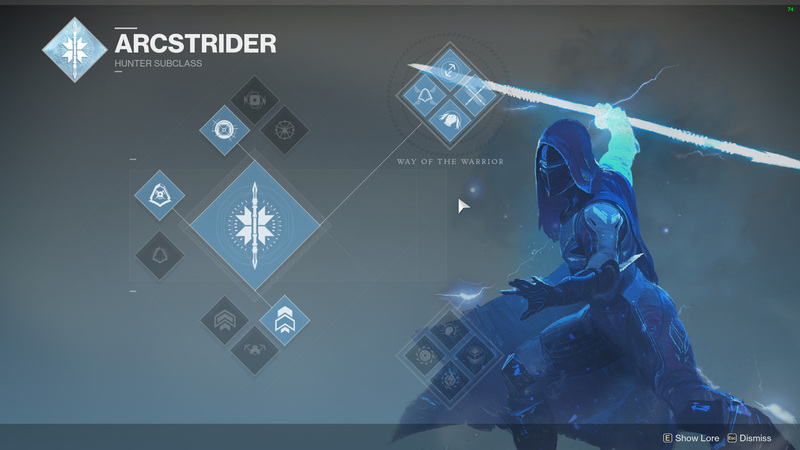 If you’re using Gemini Jester in PvP, I’m going to suggest that you use the Arcstrider subclass that gives you the Arc Staff super ability. This should be paired with the Way of the Warrior perk tree so that you get a perk called Lethal Current. After you dodge (which disorients your enemy and removes their radar), your Arc Staff hits will leave a damaging lightning aftershock. Get four opponents close together and you are going to ruin their play sessions with this combination. Unfortunately, the drawback of this entire configuration is that you’re only going to get a single Arc Staff super ability per match. It’s true that the intrinsic perk of Gemini Jester is useful the entire match, but can you really say that it’s more useful than Knucklehead Radar? I’m not sure you can. However, give it a shot and see what you think, just don’t get your hopes too high unless you are a melee machine. For more help with every need a Guardian could have, visit the Shacknews Destiny 2 complete strategy guide.